KLEANSOURCE is located in Ningbo, China, near Shanghai. We are manufactuer who is making LED truck lights, work light, harness, connectors and other electricity parts. We have been in developing and producing vehicle lighting products for more than 6 years. We come here to find a partner which can work togehter towarding success. We have rich experience in developing new products. Our products are famouse for its hgh quality. Welcome to meet with us. 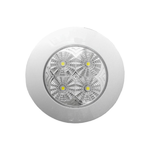 We have rich experience in making and developing LED lighting products. We know how to make long lifetime and high quality LED lights. Now we have LED truck tail and signal light, LED vehicle indoor light, LED work light, LED flash relay, connectors, harness and other electricity system. We are looking for partner to work together to developing new products. We can bring your idea true. We also welcome distributor and trailer, truck, bus manufacturer.